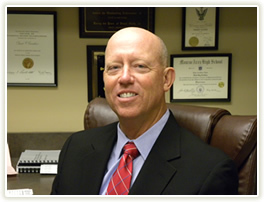 For over 30 years, Dr. David G. Carithers has served the Loganville community by providing a relentless commitment to excellence in all aspects of dentistry. As well as giving back to the community by volunteering at the Hebron Dental Clinic. Dr. Carithers combines an exceptional education, extensive clinical experience, and long-standing personal dedication to improving people's dental health...allowing him to bring outstanding functional health and beauty to his patient's smile. As an outstanding member of the American Dental Association and the Georgia Dental Association, Dr. Carithers furthers his education every year with seminars and classes to provide the best dental care possible for his patients.